DENVER, CO, October 7, 2013 – Ricoh Imaging Americas Corporation (Ricoh Imaging) today announced the introduction of a new HD PENTAX-DA lens. Specifically designed for PENTAX K-mount DSLRs, the new HD PENTAX-DA 55-300 mm F4-5.8ED WR is a versatile telephoto zoom lens that features the PENTAX high-grade multi-layer High Definition (HD) coating and dependable weather-sealed construction. Complementing the largest offering of APS-C optimized lenses in the imaging industry, the new HD PENTAX-DA 55-300mm lens is the 28th in the Ricoh Imaging lineup of PENTAX K-mount lenses architected and engineered to perfectly pair with an APS-C-sized sensor. With a zoom ratio of approximately 5.5 times, the 55-300mm range covers a wide range of focal lengths from medium to super telephoto and thanks to the sturdy and dependable weather-sealed construction the HD PENTAX-DA 55-300mm lens can also handle a wide variety of weather conditions ensuring moisture or rain are never the cause for a missed photo. Additionally, thanks to the treatment of the PENTAX HD coating, photographers are assured much higher light transmittance than conventional multi-layer coatings, delivering sharp, clear images with significantly reduced flare and ghosting, even under demanding, backlit conditions. Ricoh Imaging’s full line of APS-C cameras includes the full-featured, entry-level K-500; the customizable, weather-sealed K-50; the robust, highly-regarded K-5IIs as well as the standard setting K-3, which touts a host of professional-grade features like a high-resolution 24 megapixel image sensor, fast 8.3 frames per second frame rate, selectable anti-aliasing filter and easy and seamless wireless connectivity with unprecedented functionality. 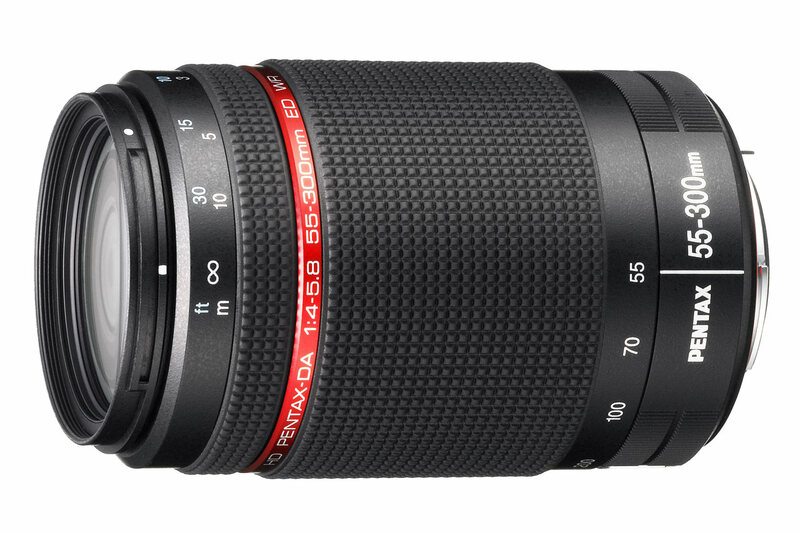 The HD PENTAX-DA 55-300 mm F4-5.8ED WR will be available for purchase online at www.us.ricoh-imaging.com and at retailers nationwide in November 2013 for a suggested retail price of $449.95. To learn more about the new PENTAX K-3 and Ricoh Imaging’s unmatched lineup of APS-C DLSRs and lenses as well as other Ricoh Imaging products, please visit www.us.ricoh-imaging.com.